They say cats have nine lives. Lucky for Cat Dupress, she's got seven left. Bounty hunter Cat Dupress first cheated death when she was thirteen. The second time left her orphaned and scarred. And the only thing that will diminsh her lust for revenge is finding the man who left her for dead as she watched him murder her father. Every job she takes is an opportunity to invade the criminal world that hides the tattoed man who ruined her life. And she hopes to hunt him down on her current mission into the rugged deserts of Mexico, where there is no law to watch her back. Without her knowledge, bondsman Wilson McKay is on the same job, and trailing Cat is the fastest way to find his man. He's willing to share resources -- and the reward -- especially if that means getting to know the lonely woman beneath Cat's tough, take-no-prisoners exterior. 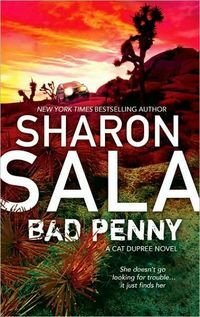 Life's taught Cat that the surest way to land on her feet is to work alone, but Wilson might be the man to change her mind -- when they're not competing for jobs or ready to kill each other.